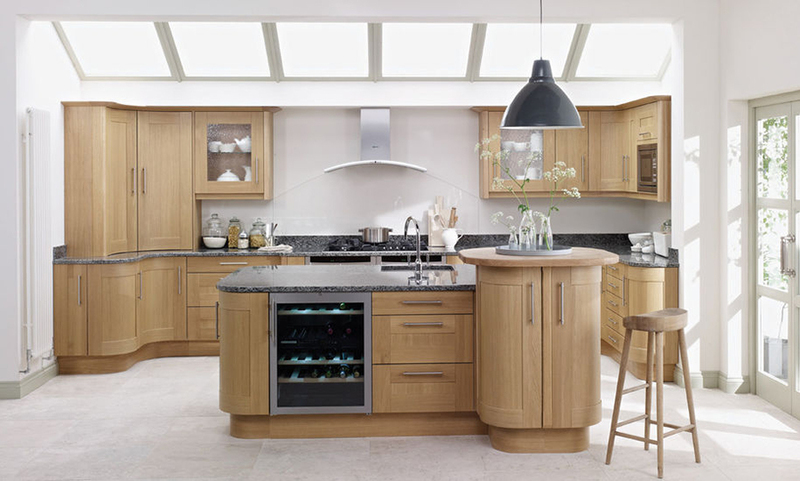 The Broadoak wood grain classic kitchen is available in either the natural oak or the Rye oak a light oak version of the same kitchen. 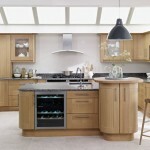 The Broadoak Rye is a very interesting kitchen and certainly worth a look for those seeking a blonde oak kitchen. 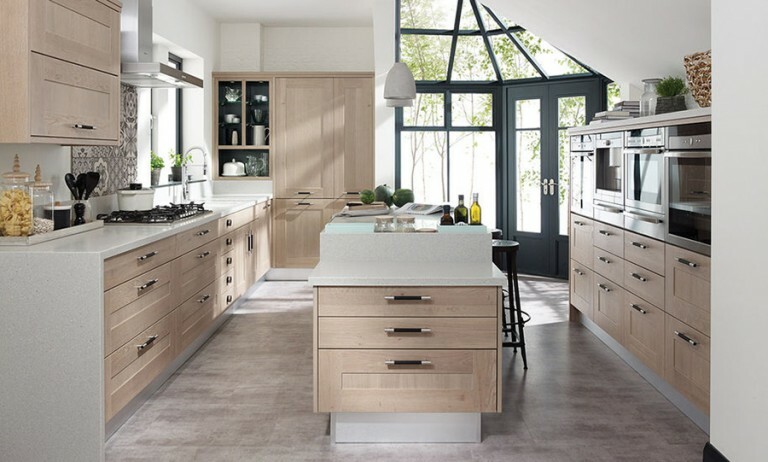 As a wide frame shaker kitchen, the Broadoak Rye and Broadoak Natural certainly offer the look that many are seeking today. 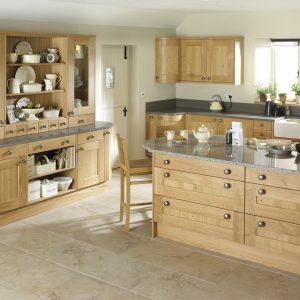 The Rye is my favorite of the two, it is different from the Natural Oak kitchens of which there are many. Though the same door as the Natural oak, this Rye finish receives a creamy lacquer which when cured gives the timber a blond look almost like the Limed Oaks off yesteryear. 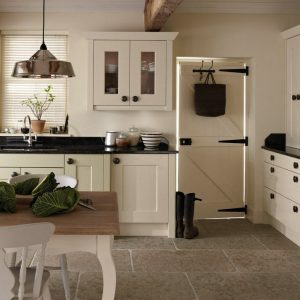 The Rye is certainly worth looking at for those seeking a light but timber kitchen. 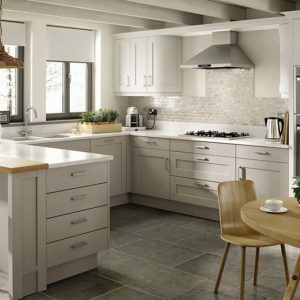 Though a classic kitchen the picture here demonstrates that accessorisation is very influential on the eventual look of a kitchen. 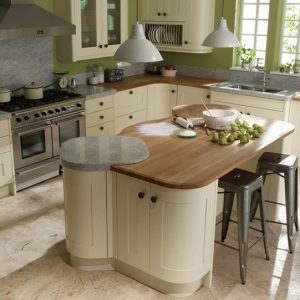 The handles in this picture are rather contemporary, the worktop certainly is. These influences on the kitchen move the outcome towards the contemporary from the classic.